Are you missing a tooth or multiple teeth? Dental implants could be a solution. Our free download has the answer. When you lose a tooth, your world can feel like it has been turned upside down. So what do you need? Download your copy and find out if you are a candidate for dental implants. 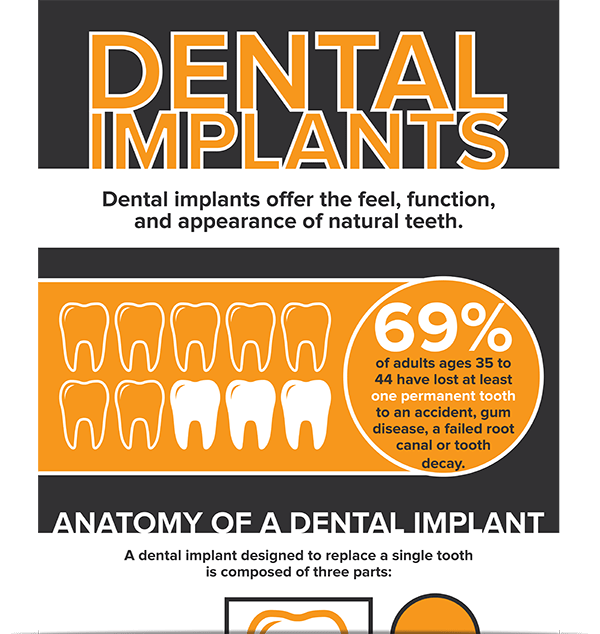 Here is a brief overview of the implant process. You will meet with your implant expert Dr. Maloney. He will explain the procedure, conduct a full mouth exam, and identity if you are a candidate for dental implants. Our partner oral surgeon places a small titanium post in the area of the missing tooth to ensure a strong, viable foundation. That foundation will support oral function as well as prevent bone loss that occurs after tooth loss. Once the implant has fused to your jawbone, a custom-made crown is created at our partner dental lab and then placed on top of the implant by Dr. Maloney. We have a service for that! It is called Implant-Retained Dentures. If you lost multiple teeth due to decay and want to restore your smile, our removable dentures and implant-retained dentures can help. Implant-retained dentures are held in place by tiny titanium implants, which are inserted into your jawbone (like dental implants). Offering a more secure fit compared to traditional dentures, implant-retained dentures are best suited for individuals with the adequate bone structure to support the implants. Implant-retained dentures can be removed and cared for just like regular dentures. Many patients prefer implant-retained dentures due to their extra secure fit and the increased confidence they offer when speaking and eating. 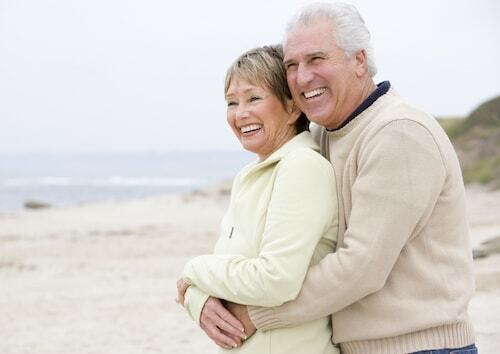 Our partner oral surgeon is able to place implant-retained dentures so they feel comfortable and look great! Dr. Maloney is able to restore these implants after they are placed. Experience this life-altering procedure today!